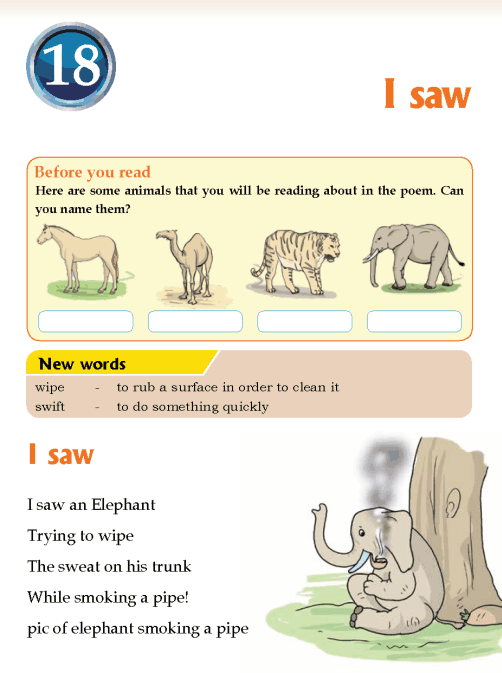 What was the Elephant trying to wipe? Where was the Camel trying to jump? Who was trying to catch up with his own tail? Where was the Tiger trying to wash himself?